The department of San José is northwest of Montevideo along the San José River. It was the site of a Spanish colony, the settlers of which were refugees from Patagonian settlements. During the 1825 uprising against Brazil, San José served as the provisional capital of the country. Specializing in agro-industry, San José is noted for its meat processing, dairy production, leather goods, and clothing industries. There are also factories for the manufacture of automobile parts and furniture. 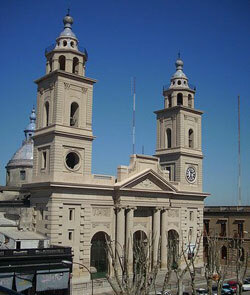 San José has a 19th century Baroque Basilica Cathedral with a large clock tower. San José de Mayo is situated on the right bank of the San José River, in the heart of San José. The department’s seat of politics and administration, San José de Mayo is also a bustling financial and commercial centre. Agro-industrial industries such as cattle ranching, dairy production and meat packing drive the economy. Because the city sits at the intersection of Uruguayan Routes 3 and 11, it is an important hub for commerce within the department.